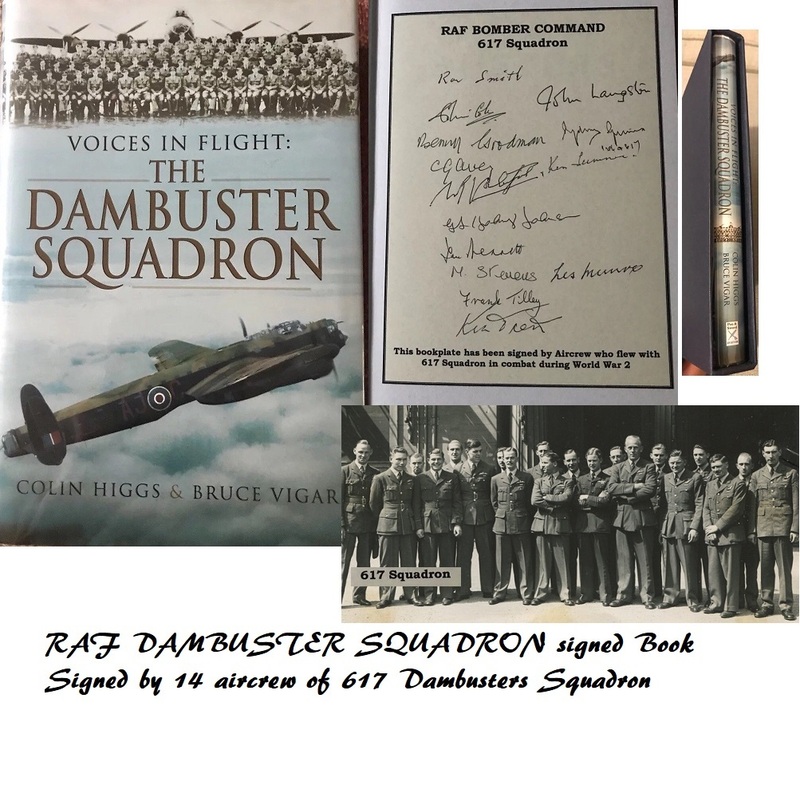 Voices In Flight 617 Dambusters Sqn RAF Book Aircrew Signed x17 - rare ! A stunning, limited edition RAF historical book, signed by original aircrew of the legendary 617 squadron aircrew. Hardback book. 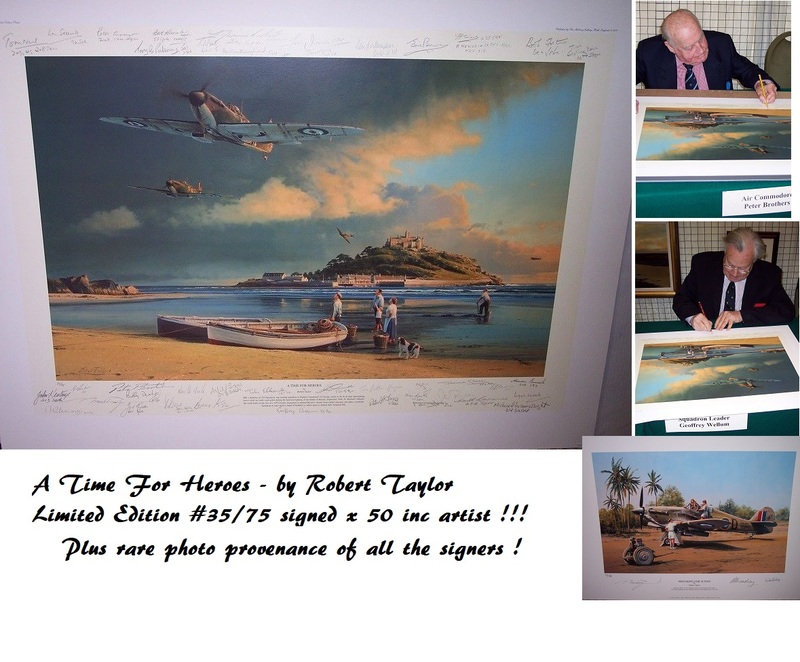 Comes with bookplate signed by 14 RAF 617 Squadron veterans, plus several additional autographs inside. 617 Squadron was the famous Dambuster squadron led by Sir Guy Gibson on the dam raids in WWII. Comes with slip case. 1. FLT LT KEN TRENT DFC - Lancaster Bomber Pilot with 617 'Dambuster' squadron - one of the few to be awarded a DFC twice.